Just when one might have thought it would be difficult, if not impossible, for Alan Hollinghurst to top his existing magnificent literary offerings, along comes a monumental new novel which proves one wrong by easily matching, if not exceeding, everything he has offered previously. Hollinghurst has a sublime, if distinctly unsettling, grasp of the English class system with all its attendant snobberies. His ear is finely-tuned to the subtle nuances of English class distinction and the not-so-subtle hurts and downright cruelties that each class inflicts on the one (or ones) beneath it. 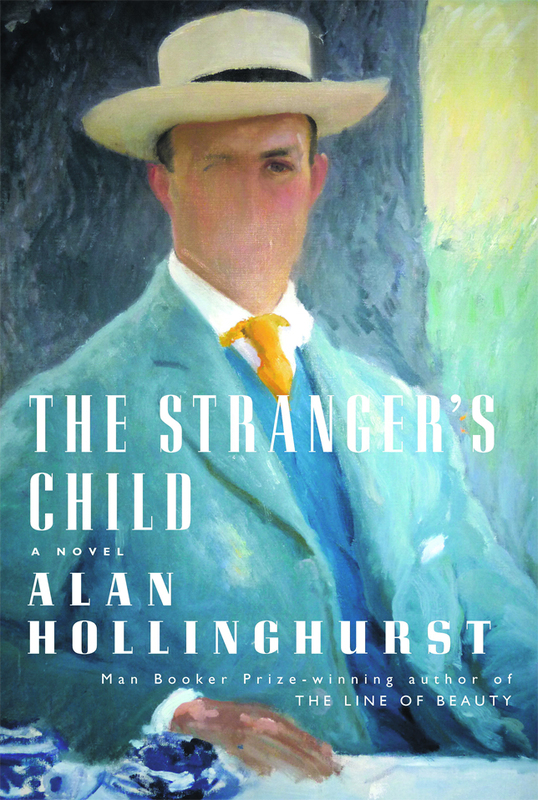 And as The Stranger’s Child is an historical family saga, starting in 1913, these are more blatant and obviously delineated in the earlier sections than the later, and much more so than in his more contemporary novels such as The Line of Beauty, where, though less overt, they are no less inhibiting of and damaging to the personal relations of his characters. Hollinghurst is also particularly adept at dissecting the group dynamic of parties and other social gatherings, of which there are many throughout the course of this long novel. His writing is so dense and intricate that one is drawn in to a whole world built up of subtly interwoven relationships bridging almost a century. At the start of The Stranger’s Child, Cecil Valance, the scion of Corley Court in Berkshire, comes to spend a week of the vacs with his university chum, George Sawle, at his family home, ‘Two Acres’, in Stanmore, Middlesex. The contrast between the ancestral pile of the Valances in the depths of the rural Home Counties and the comfortable suburban “Arts and Crafts” home of the Sawles (all oak beams and inglenooks) on the outer-perimeter of London could not be more stark. Indeed, we are told that George’s late father has even installed, at some trouble and expense, a rockery in the garden, his pride and joy (the implication being “a rockery for God’s sake – the epitome of bourgeois pretension – how very déclassé!”). Cecil exhibits all the winning charm, as well as the casual arrogance and cruelty, of his class, while George is prone to all the insecurities and anxieties of his. There are some excruciating moments during dinner parties for this dazzling guest, who has landed in the midst of a quiet, respectable suburban middle-class family setting unused to such excitements. Nevertheless, the two boys share the same charmed world of the Cambridge college elite and Cecil has even introduced George into a secret society and thus become his “father”. And they are also lovers. As the book progresses, their brief contact with Cecil, it gradually becomes apparent, has gilded but also irreversibly blighted the lives of the Sawle family. Gradually unfolding revelations make clear his baleful influence, not only upon George, but also on George’s younger sister, Daphne, his elder brother, Hubert, his mother, Freda, their neighbour, Mrs Kalbeck (aka ‘Mrs Cow’), and boy-servant, Jonah. It is as if a Greek god has descended from the Olympian heights to mix with mortals and in so doing seared them all with his Promethean fire. Later, the weekend house party at Corley Court, where all the protagonists have gathered to mark the tenth anniversary of Cecil’s death as a Captain fighting in France in 1916, is another opportunity seized by Hollinghurst to lay bare the underlying tensions and dysfunctionality of a family and its house guests. As such, it is agonising and hilarious by turns. The diplomatic Sebastian ‘Sebby’ Stokes has been commissioned by the dowager Lady Valance to put together a life of her late son. As Sebby attempts to gather oral and documentary material from the assembled family and guests, it becomes apparent that everyone has something to hide and, as the weekend culminates in a celebratory dinner and impromptu dance, every conceivable social gaffe, insult, slight and embarrassment is played out in a swirling comedy of manners which grows more intensely and grotesquely out-of-hand the drunker the assembly becomes. Are they drinking to forget? Almost certainly, but whether the past or the present it is difficult to tell, although it is in all probability both. This is reminiscent of a scene from a Noel Coward comedy of the era: brittle, witty, clever – and terribly, terribly poignant. This tragi-comic chapter is, for me, one of the highlights of the book and an absolute tour-de-force – though descriptions of Daphne‘s 70th birthday party in 1967, the Oxford conference in 1980 for Sir Dudley Valance, Cecil’s surviving younger brother, and the memorial gathering in 2008 run it close and are equally forensic and insightful. In the opening section of The Stranger’s Child there are many similarities with other literature of the same period, which is not to say that it is in any sense derivative. While there must inevitably be resonances when treating of the same era and milieu, one supposes, Hollinghurst’s mordant ‘take’ on it is fresh, original and incredibly penetrating. For example, the ‘servant problem’ is ubiquitous; there will inevitably be personal, inter-generational, dynastic, sexual and class struggles; and there is the omnipresent pain and shame of transgressive love, problematic either because it “dare not speak its name” or because it cuts across class barriers – or, far worse, both. Whereas in Waugh’s Brideshead Revisited (as in E.M. Forster’s Maurice) the issue of homosexuality is compounded by class differences, even in Hartley’s The Go-Between, where the love is heterosexual, it is still forbidden on account of the class divide. Forster goes one further in his A Passage to India by introducing, as an added complication, the issue of race between Adela Quested and Dr Aziz. (Come to think of it, Julian Fellowes also raises this in Downton Abbey, where, as well as one of the footmen being gay, there is the frisson of Lady Mary and Kemal Pamuk’s ill-fated affaire.) The course of true love in the New Georgian era, it seems, never did run smooth! In fact, at the risk of sounding an irreverent note (and without wishing in any way to belittle Hollinghurst’s towering achievement) there is more than a fleeting suggestion of Brideshead Revisted-meets-Downton Abbey in The Stranger’s Child. Hollinghurst’s pre-First World War Cambridge could easily be swapped for Waugh’s Oxford, and Highclere Castle in Berkshire could equally as well be the model for Hollinghurst’s Victorian Gothic monstrosity, Corley Court, as it is for Fellowes’ telegenic and eponymous stately pile. However that may be, this formidable work enhances his already towering canon, and his literary reputation, exponentially. Hollinghurst has set himself a frightening challenge to top it. Even if this were his crowning achievement and the last thing he ever published (which seems unlikely to be the case) it would be a dazzling finale to any literary career. All that said, his fertile imagination will doubtless come up with something even more impressive with which to entertain and astound.